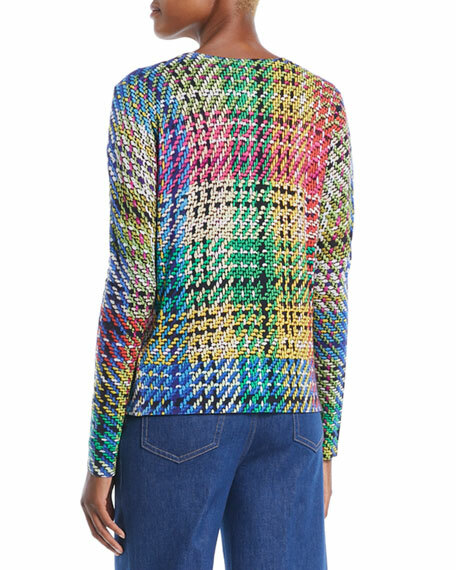 Escada multicolor blanket weave cardigan. 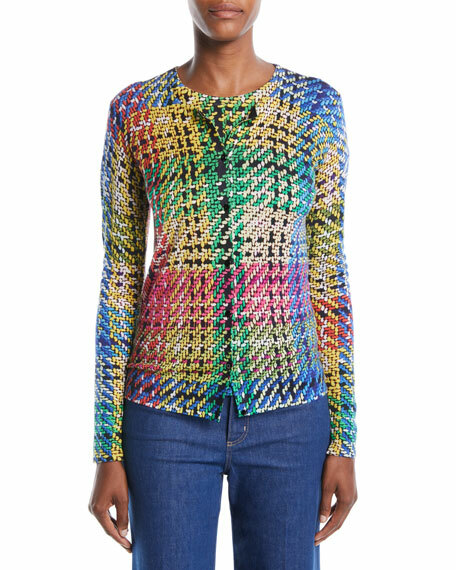 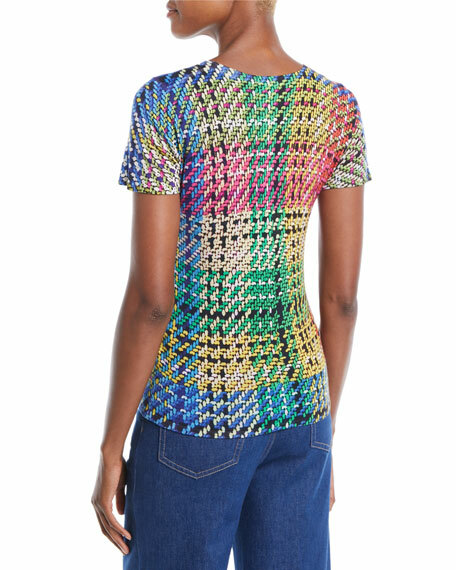 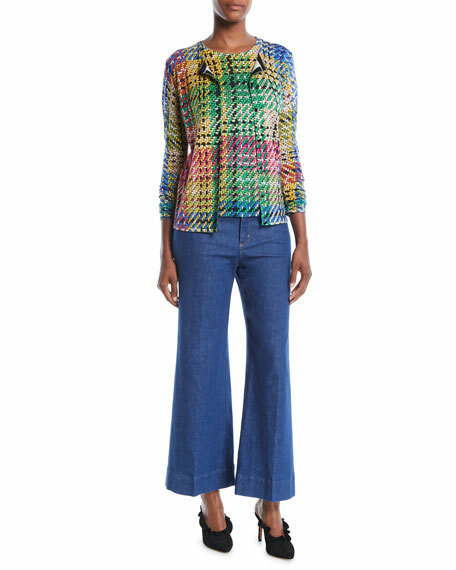 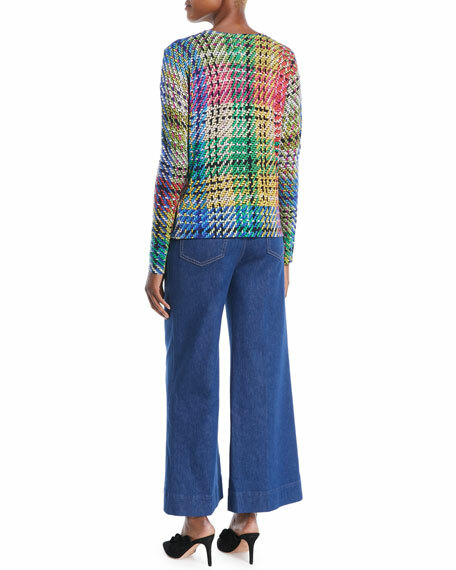 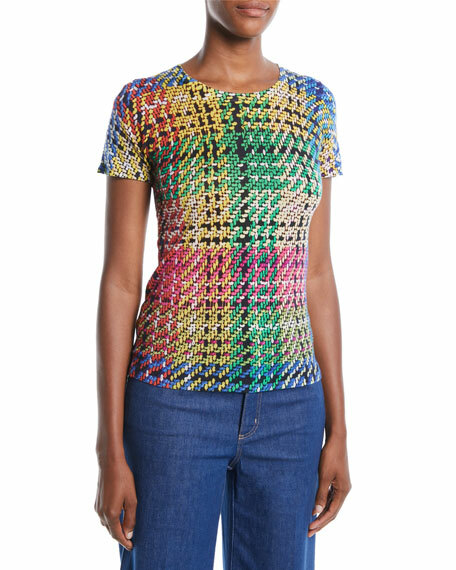 Escada multicolor blanket weave top. 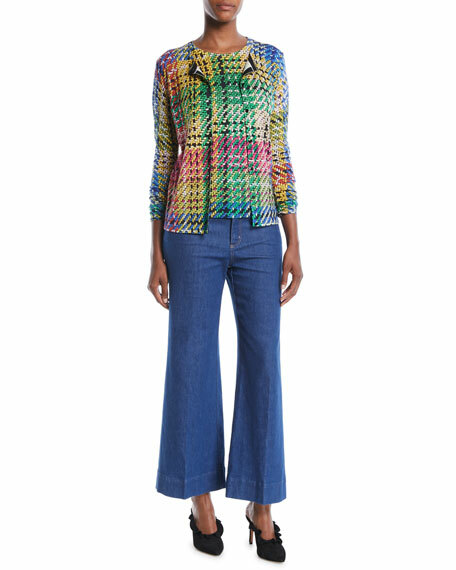 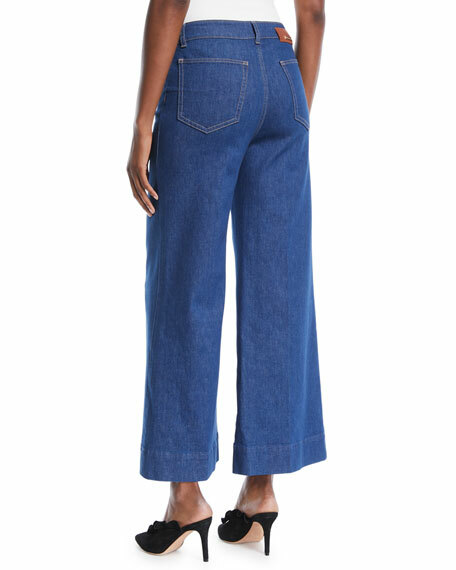 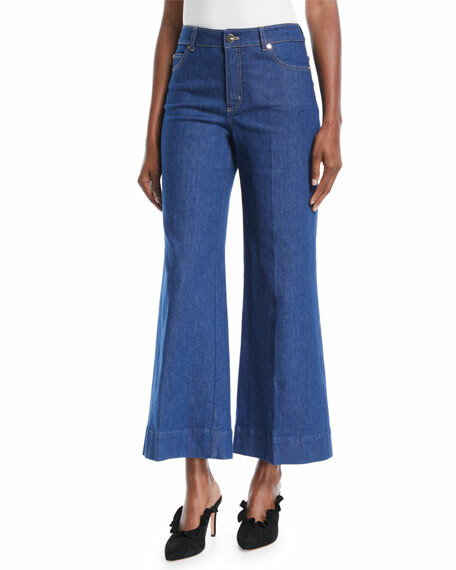 Escada jeans in medium-wash denim.